Today I wanted to talk about how important food supplements are. I have been taking vitamins for a good 2-3 years now, and I try not to forget to take them daily. Like many girls, I've been trying to grow my hair for a while now. I'm well known for bleaching and dying my hair different colours, which has actually ruined my hair so badly that I had to have it short for around 3 years now. I stopped changing my hair colour non stop last year, and only get highlights done whenever I go to the hairdressers for a trim. It really is true what they say about having regular trims and hair growth. 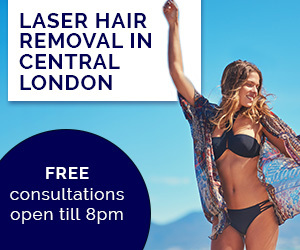 If you have your hair chopped every 6-8 weeks then it will grow faster as it will stop breaking off. 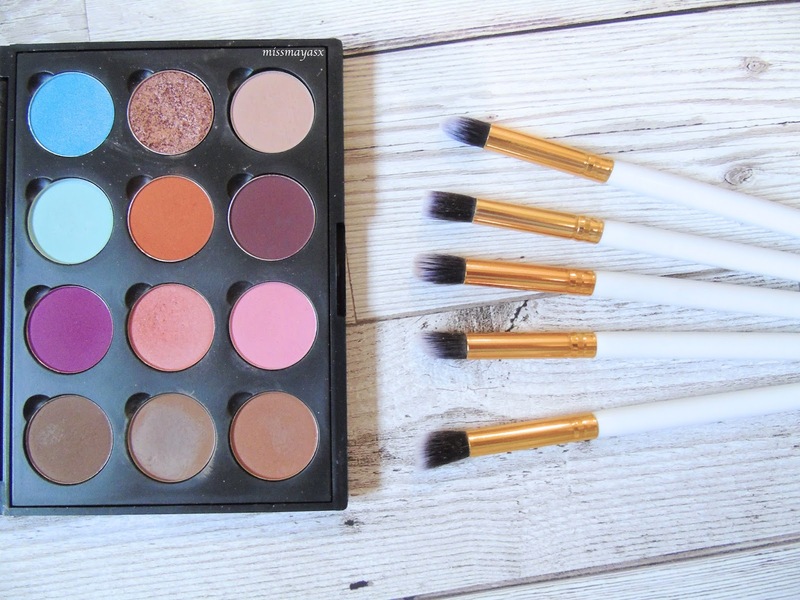 I never believed it until I tried it. now I have regular trims and noticed a huge difference in my hair length to what it was like before I started having regular cuts. 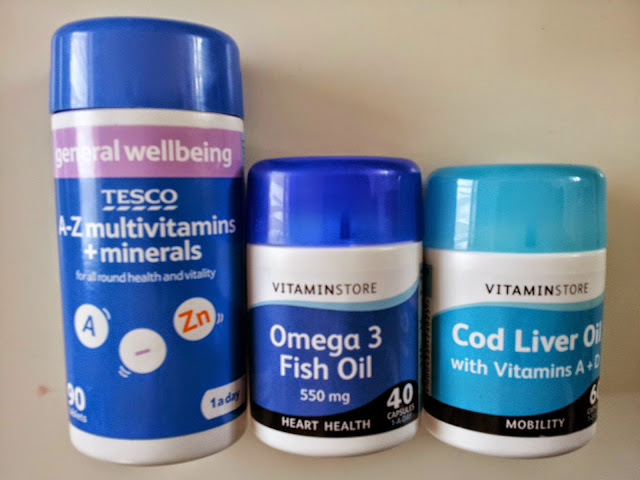 I've read online that all fish oils have a great impact on hair growth, and speed the process up making your hair grow at least half an inch extra each month! The shopping had to be done. 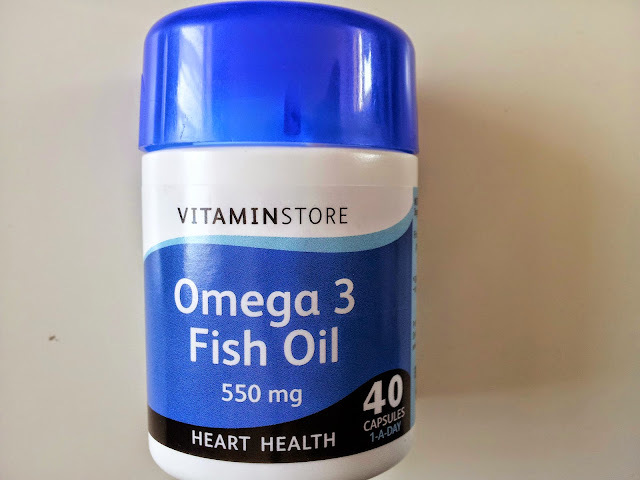 As you can see, Omega 3 Fish Oil is really good for the heart's health, so faster hair growth isn't the only benefit form this supplement! 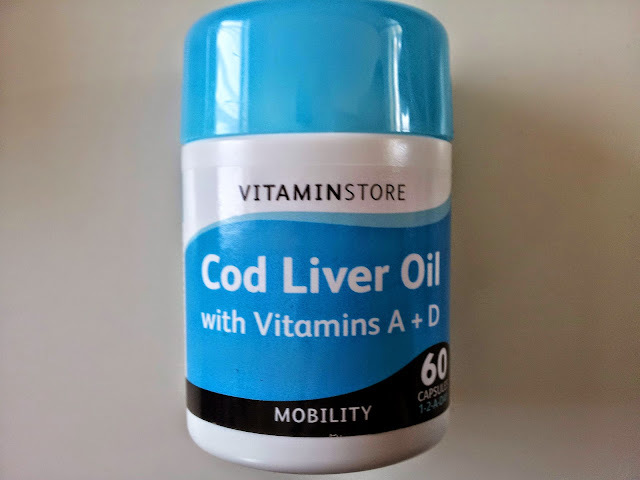 Cod Liver Oil is apparently very good for skin, which is perfect from me as I suffer from combination skin which is dry in some places and oily in others. Of course, A-Z vitamins is the most important supplement you need, especially if you don't eat enough fruit and veg. 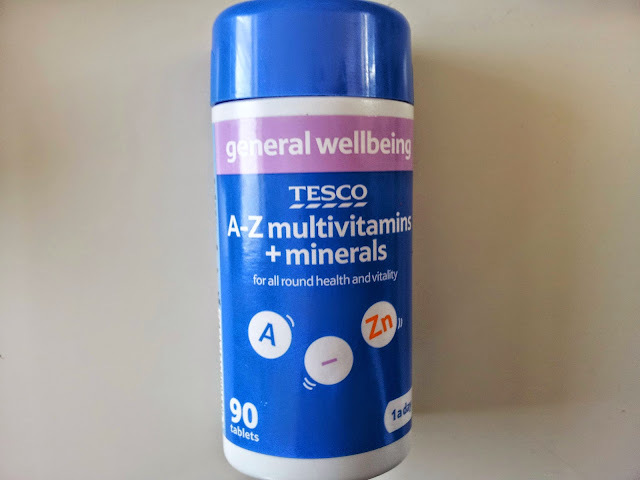 The Tesco's own brand vitamins are actually very good, I've been taking them for a while now and I've noticed a huge difference in how I feel than when I had my other own brand A-Z. Nice post! I just followed you back, keep in touch!